Access to healthy, fresh food is something we may not always think about being a problem in our agricultural communities. However, a study by the United States Department of Agriculture (USDA) Economic Research Service reveals that Minnesota ranks in the top 10 states that have residents with low access to food. 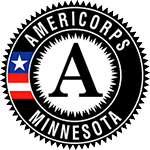 1.6 million people in Minnesota, or 30% of the population, are facing this struggle . These people live in what is considered a “food desert”. The USDA describes a food desert as a place where the nearest supermarket is 10 miles away for rural areas and 1 mile away for urban areas . While the counties within the reach of Southern Minnesota Initiative Foundation (SMIF) may not have the highest number of food deserts, it is still an issue to be addressed. A large part of the problem is that there are fewer farmers. According to the 2012 Census of Agriculture by the USDA National Agricultural Statistics Service, Minnesota has lost 6,450 farms from 2007 to 2012 and 882,124 acres of farmland . These numbers are astounding. 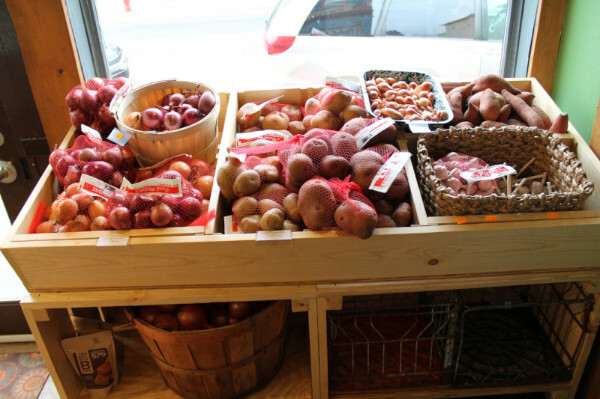 Farms help grow the local food economy and provide good produce to Minnesota. They are an essential part of our regional vitality. SMIF recognizes the importance of agriculture and understands people are frequently deterred from farming due to the difficulties of financing. In order to fight this problem, SMIF began the Grow a Farmer Fund. The Grow a Farmer Fund provides small-scale sustainable farmers lower-interest loans to help them improve their operations and increase their bottom lines. In supporting farmers, SMIF is working to improve access to food across the region. Promoting the purchase of local foods and encouraging the creation and growth of small and local businesses in the food industry is another way to work towards eliminating this issue. To date, SMIF has invested more than $1.76 million through grants and loans to local food and beverage businesses and initiatives. As in all of SMIF’s work, collaboration is key. To better leverage the Foundation’s local foods investments, SMIF helped create the FEAST Local Foods Network. The FEAST Local Foods Network is a group of local foods stakeholders who work to develop a coordinated and sustainable food system in southern Minnesota. The network is made up of representatives from SMIF, Renewing the Countryside, MN Department of Agriculture, University of Minnesota Regional Sustainable Development Partnership, and many more. The signature event for the FEAST Network is the Feast! Local Foods Marketplace, held annually in December at the Mayo Civic Center. This event brings together over 1,500 people, including vendors, buyers and consumers to better educate the public on local food opportunities. Co-owner of the Pleasant Grove Pizza Farm, Bill Bartz, stated to the other business owners during the meeting, “SMIF has been great. It’s nice to come into meetings and bring forth some of our ideas. [These meetings] helped us make a final decision on a lot of things. It’s been nice to be able to talk to all of you guys.” Businesses need more than just financial support, and this peer learning network provides that. SMIF knows that agriculture will continue to play a big role in the southern Minnesota’s future, yet it will look different than it does now. As conventional grain and livestock farms continue to consolidate, supporting small-scale farms and food entrepreneurs will help carry on the region’s agricultural legacy while inviting new food entrepreneurs to take part. “Our region is diversifying, both in terms of our economy and demographics,” says SMIF’s Vice President of Economic Development Pam Bishop. 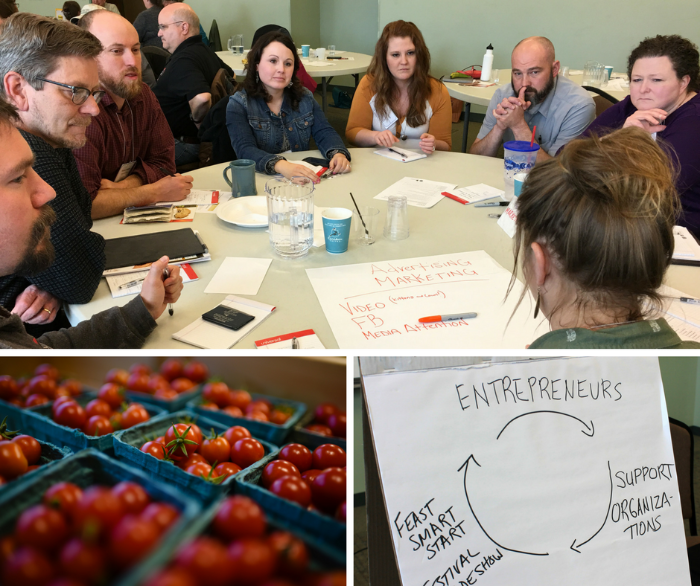 “We believe that our approach to local food investments through the FEAST Network is a proactive step in addressing both of those shifts. 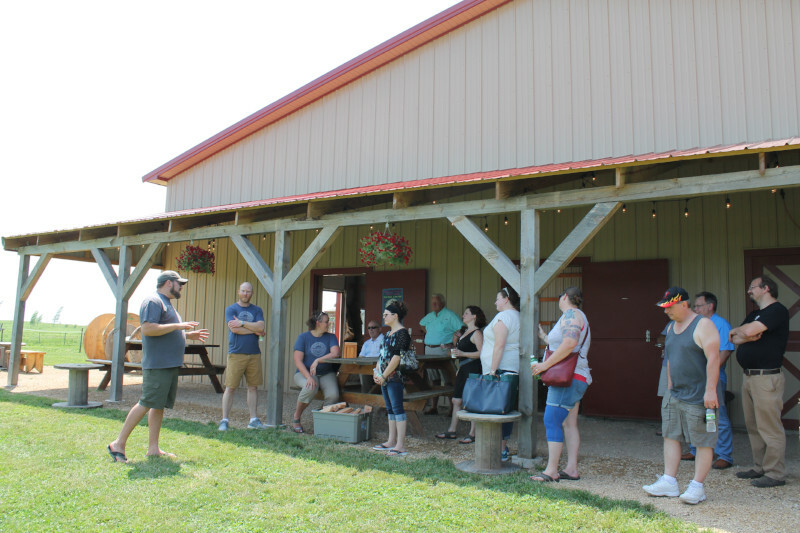 Food is something everyone can come together on.” The investments SMIF has made in these small town markets, local food businesses, and farms have helped address the issue of food access and encourage entrepreneurship leading to economic vitality in southern Minnesota. “Healthy Food Access: A View of the Landscape in Minnesota and Lessons Learned from Healthy Food Financing Initiatives”, Ela J. Rausch, M.P.P. & Paul W. Mattessich, Ph.D. Federal Reserve Bank of Minnesapolis and Wilder Research, Center for Protection at Blue Cross And Blue Shield of Minnesota. April 2016. https://www.wilder.org/Wilder-Research/Publications/Studies/Healthy%20Food%20Access/Healthy%20Food%20Access%20-%20Landscape%20in%20Minnesota%20and%20Lessons%20Learned%20From%20Healthy%20Food%20Financing%20Initiatives,%20Full%20Report.pdf. “Food Research Atlas”, United States Department of Agriculture, Economic Research Service. 2017. https://www.ers.usda.gov/data-products/food-access-research-atlas/about-the-atlas/. “2012 Census of Agriculture-State Data”, USDA, National Agricultural Statistics Service. 2012. https://agcensus.usda.gov/Publications/2012/Full_Report/Volume_1,_Chapter_2_US_State_Level/st99_2_008_008.pdf.